Leading Israeli military historian Martin van Creveld here takes us on a journey from the last century's clashes of massive armies to today's short, high-tech, lopsided skirmishes and frustrating quagmires. He begins with the world as it was in 1900, controlled by a handful of "great powers" whose armies were still led by officers riding on horses, conveying messages by hand, drum, and bugle. Following detailed portraits of the world wars, in which greater armies, new weapons, staggering casualties, and technological breakthroughs transform combat and conflict, he shows how nuclear weapons in the Cold War shifted nations from fighting wars to deterring them. War today, Van Crevald posits, is a mix of the ancient and the advanced, as powerful and advanced armies fail to defeat small groups of crudely outfitted guerrillas and terrorists. 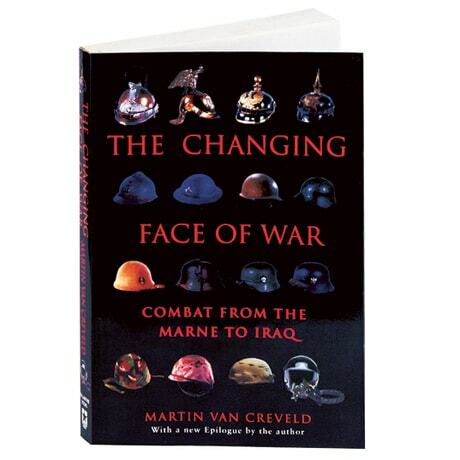 How to learn from the recent past to reshape the military for this new challenge—how to still save, in a sense, the free world—is Van Crevald's ultimate lesson.